Sibley Pares are pleased to offer this well presented two bedroom first floor maisonette. Tucked away in a quiet cul-de-sac this spacious two bedroom maisonette comprises of a good size lounge, two double bedrooms, fully fitted kitchen and three piece family bathroom. The property also has the added benefit of double glazed windows, garage, off street parking and a rear garden. With the property being currently let, it would be an ideal purchase for a buyer to let investor. Rochester enjoys a high speed rail service to London St Pancras, London Bridge and London Victoria, with journeys taking around 30 minutes. The town is well linked to the A2/M2, the A229 and the M20 road networks. 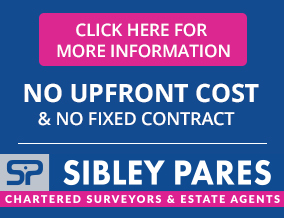 Please contact Sibley Pares residential department on 01622 673086 to book a viewing. Disclaimer - Property reference 201607. The information displayed about this property comprises a property advertisement. Rightmove.co.uk makes no warranty as to the accuracy or completeness of the advertisement or any linked or associated information, and Rightmove has no control over the content. This property advertisement does not constitute property particulars. The information is provided and maintained by Sibley Pares LLP, Maidstone. Please contact the selling agent or developer directly to obtain any information which may be available under the terms of The Energy Performance of Buildings (Certificates and Inspections) (England and Wales) Regulations 2007 or the Home Report if in relation to a residential property in Scotland.